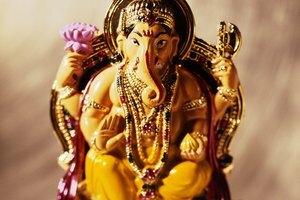 Hinduism is one of the world's most practiced religions. Hinduism is one of the world's most prominent religions. 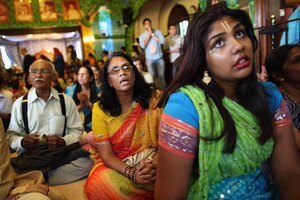 Because approximately 80 percent of Indians consider themselves Hindu and some estimates claim that more than 1 billion people worldwide are Hindu, there are differences in how Hindus practice their religion. Despite this, most Hindus adhere to several central moral values. Most Hindus share a belief in the concept of karma, the effect of past actions on present circumstances. 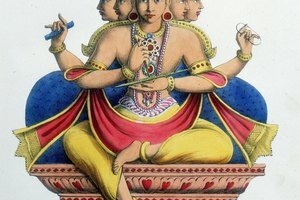 Hindus believe in reincarnation -- the cycle of life, death and rebirth -- and karma is connected to this belief. For example, according to Hindu philosophy, if your thoughts and deeds are kind and compassionate, your soul will then reap positive results. Karma directly influences the life situation into which you are reborn. 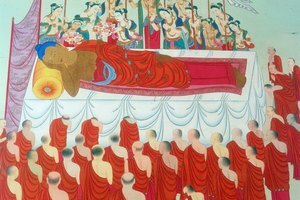 If you have created good karma, you will be reborn into a pleasant situation in the next life. 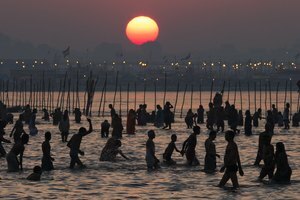 According to Hinduism, all humans are born with certain duties. These duties are specific to a person's gender, caste and age. For example, a child's dharma is to respect his parents by obeying them, and a parent's dharma is to protect, feed, educate, and shelter her child. 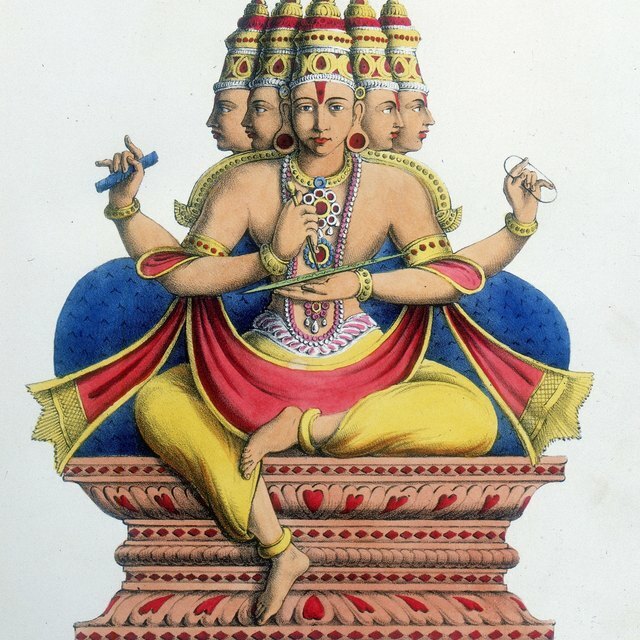 The Hindu scriptures teach that when a person fulfills his or her dharma, all beings benefit. When all people submit to their individual dharma, the society as a whole flourishes. If you fulfill your dharma at all stages of your life, your karma will be positively affected. In order to achieve liberation from the cycle of birth, death and rebirth, Hindus who practice Raja Yoga (one school of Hindu philosophy) place value on 20 essential morals called yamas and niyamas. The yamas refer to a person's behavior in day-to-day life. They include asteya (nonstealing), satya (truthfulness), arjhava (honesty) and daya (compassion). The first yama, however, is ahimsa (nonviolence), and it is this core Hindu moral of nonviolence that serves as the foundation on which all other Hindu yamas are built. The niyamas list practices observed by many Hindus. In addition to the code of personal behaviors outlined in the yamas, Hindu scriptures also teach that following a code of religious practices called niyamas will improve a person's karma. The niyamas include hri (showing modesty), dana (giving to others), isvarapujana (daily worship) and japa (chanting). Most of the world's major religions set forth a code of morals. In Hinduism, as with the other religions, there is tremendous variety in how stringently a person follows the code of ethics, but many Hindus are well versed in the yamas and niyamas, the basic guides to moral behaviors. Clarke, Peter. The Religions of the World: Understanding the Living Faiths. Marshall Editions Limited: USA (1993); pg. 125. Stiles, Mukunda. Yoga Sûtras Of Patañjali. Pune: International Academy Of Ayurveda, 1998; pg 31-37. Anitra Lahiri is a seasoned English teacher and writer. She has been teaching English since graduating with her Bachelor of Science degree from NYU in 1996. She is also a registered yoga teacher who holds a Master of Science in Natural Health. Her passion is writing about health and spirituality. , Anitra. "Morals of Hinduism." Synonym, https://classroom.synonym.com/morals-of-hinduism-12087148.html. 29 September 2017.